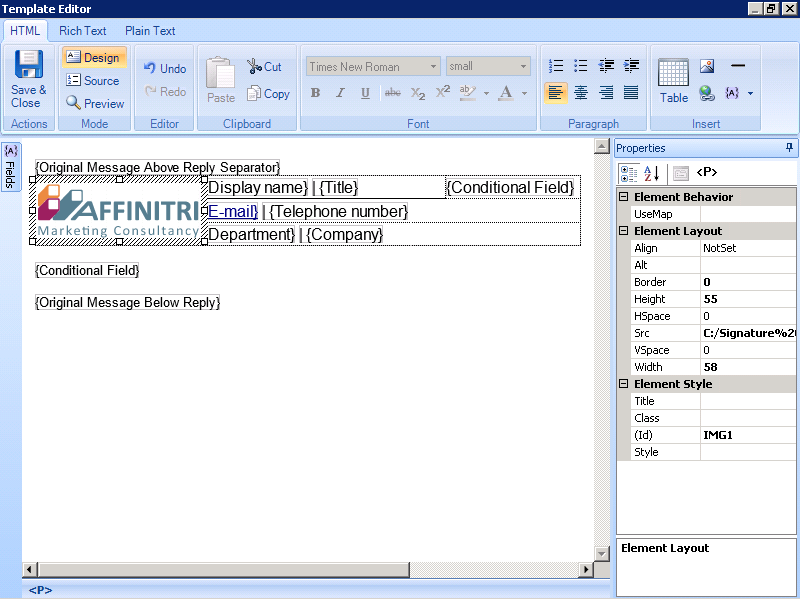 Use the intuitive template editor to design your Microsoft Exchange email signatures. Add content such as static text, corporate imagery and dynamic contact fields to build high-quality HTML email signature templates. 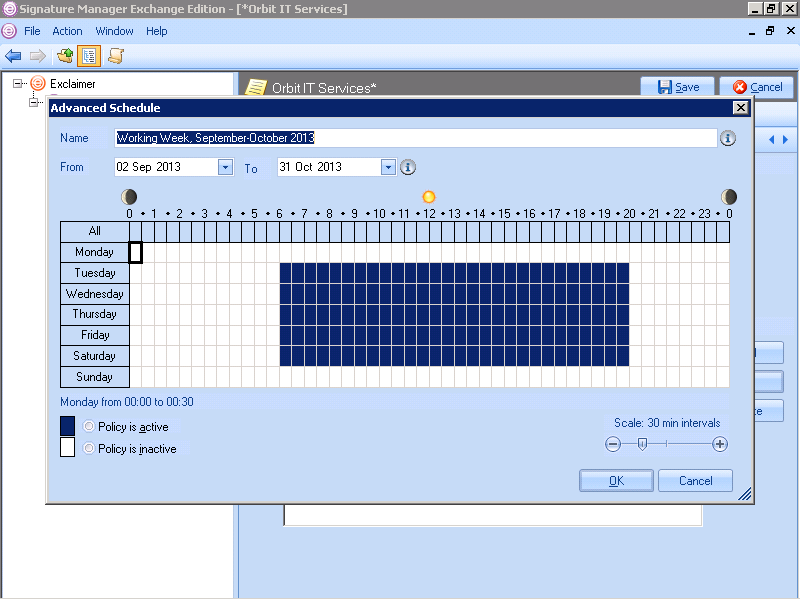 Setup email signature policies to determine which users will get which signature. Easily combine rules and templates giving you the power to easily create a different email signature for every user in your company. 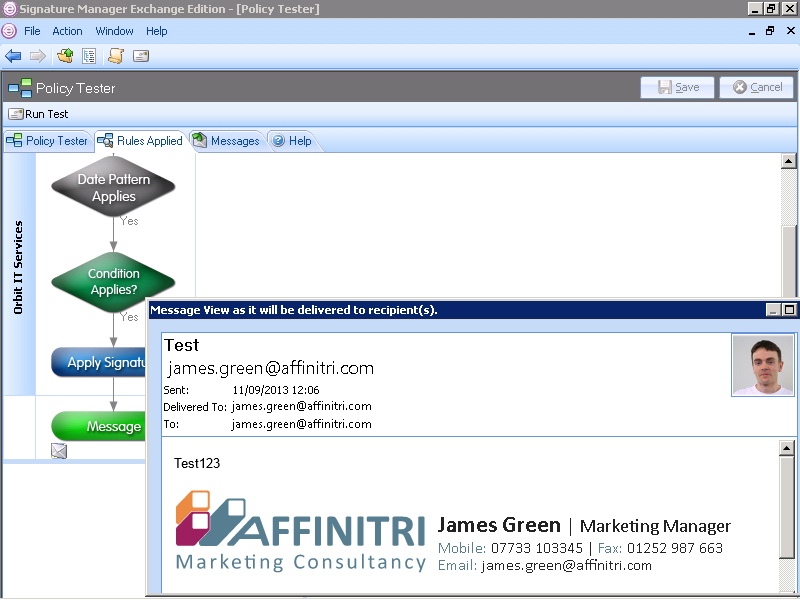 All user data is taken from your Active Directory to automatically complete the contact fields of an email signature. Ensure everyone has the same well branded email signature companywide and be safe in the knowledge that no unauthorized user can modify it. 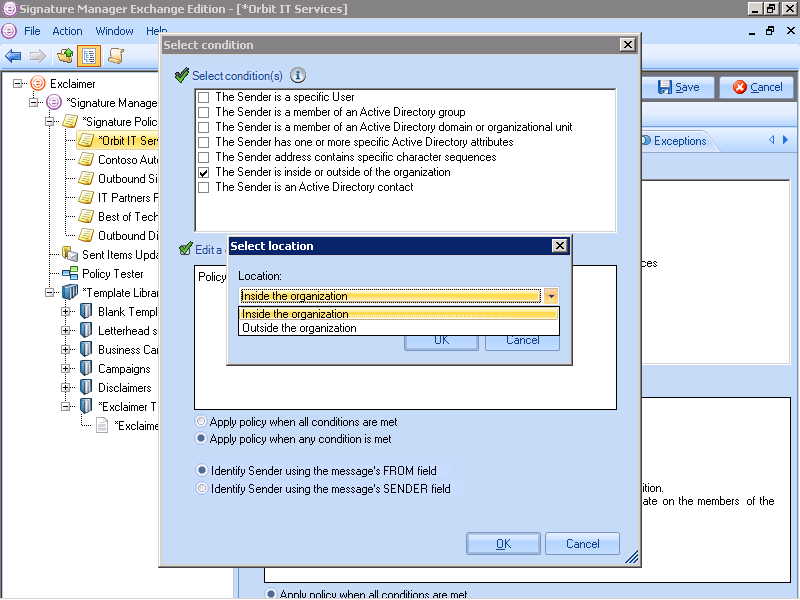 Use conditions and exceptions based on your users’ Active Directory attributes. A director could, for example, have their email signature supersede a department head’s signature if required. Rules don’t just have to be based on the sender’s contact details. 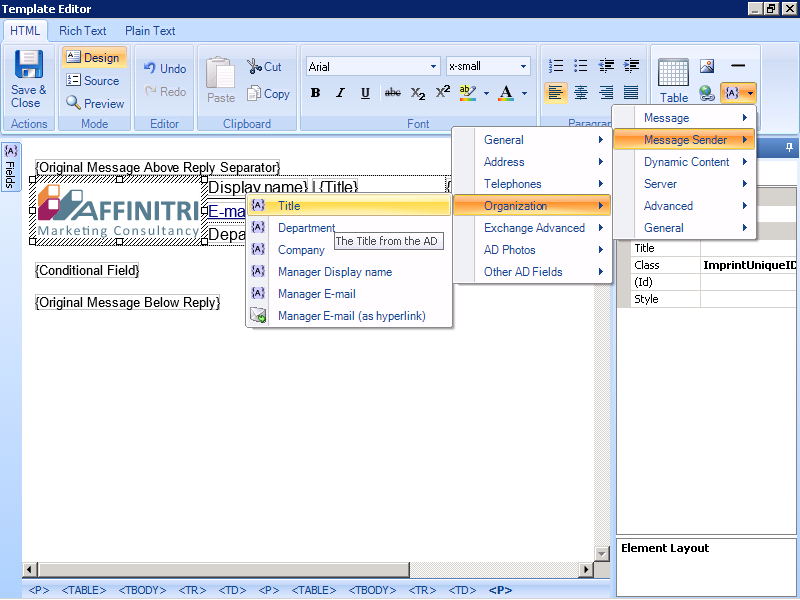 Use certain keywords, recipients and phrases to decide how an email message behaves. 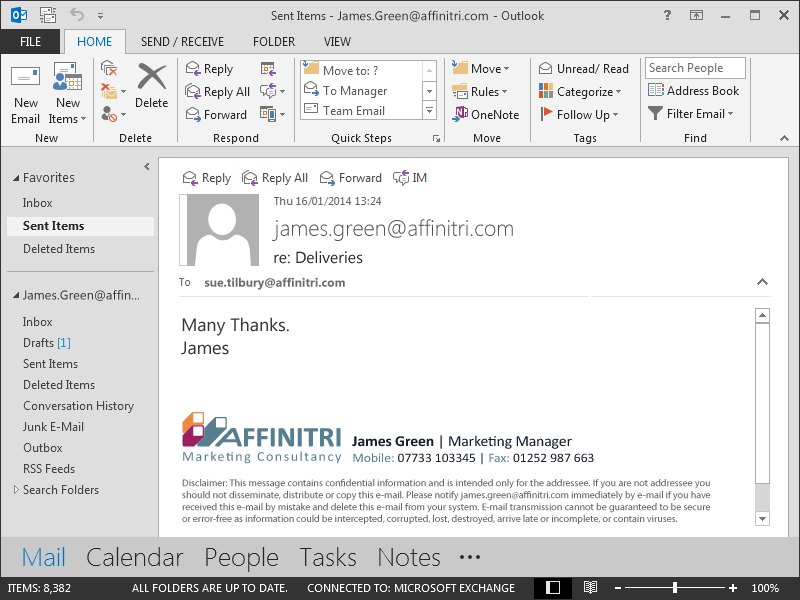 Want to see if your email signature will be applied to users’ messages correctly? 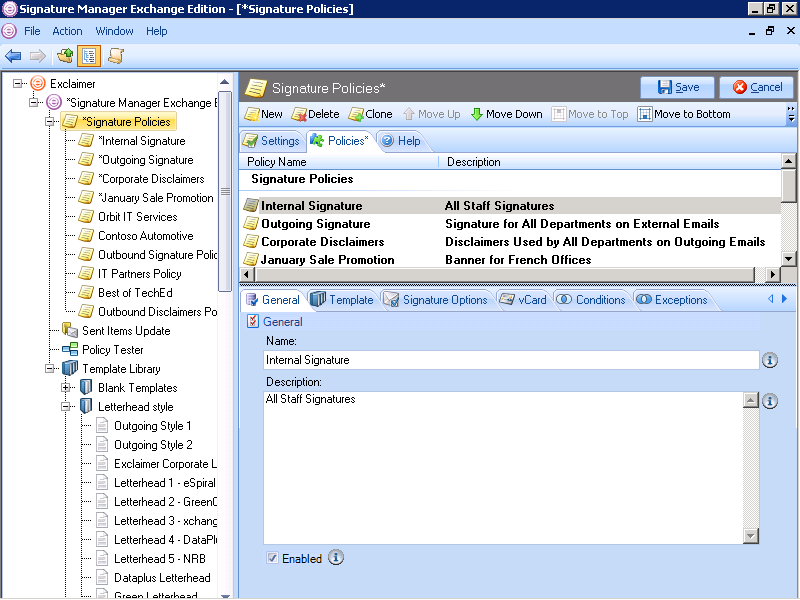 Use Signature Manager Exchange Edition’s Policy Tester to see which email signature will be given to which user/s via an easy-to-use graphical representation. Use date-based rules to add a marketing banner for an upcoming promotion or event, then automatically remove/update it where needed. 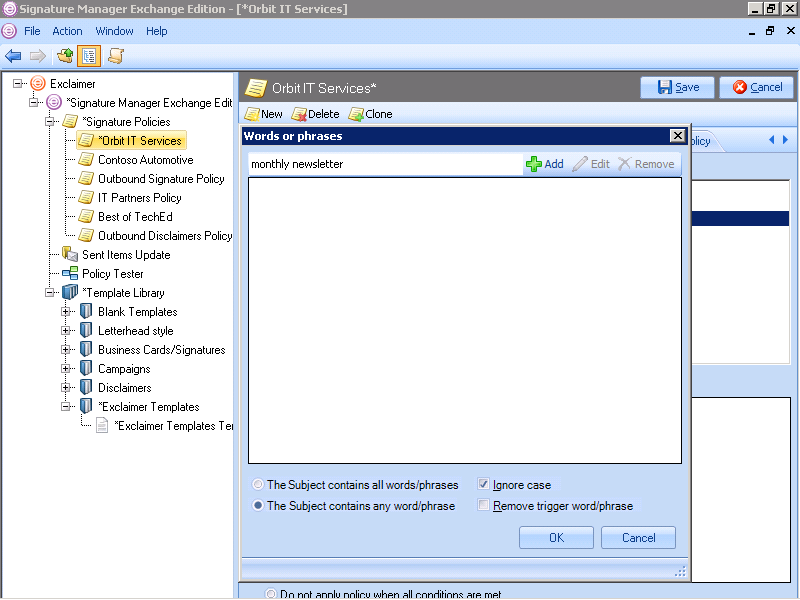 As the email signature is added at the Exchange server level, your users won’t be able to see it when they compose an email message. They still have the option to view their email signature by reviewing their Sent Items folder.